The Varsity Letter Sweater is a time-honored American tradition. American movie icons wore them in the 20's and 30's, through the 70's. Richie Cunningham wore one in the hit TV series, Happy Days. The tradition of the Varsity Letter Sweater lives on in our schools -- in universities and their fraternies and sororities, all over the world. Private schools, academies, social clubs, and cheer-leading squads are just a few of the groups whose members wear Varsity Letter Sweaters. Available in a variety of sizes style and colors, these custom made letter sweaters can be made to match your personal style . 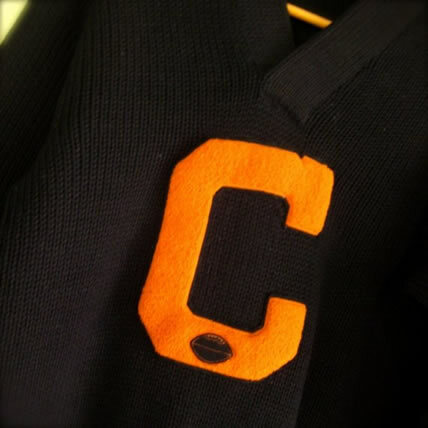 Please note that chenille letters (like the 'C' in the picture),The chenille cheerleading patches, emblems, and other chenille items are sold separately. If you'd like to have any of these items added to your sweater, Please let us know. For a price quote call us at (702) 510-9942 or Email at customjackets@msn.com Team and group pricing is avaible.